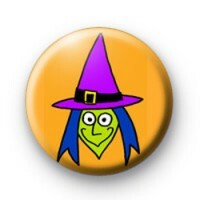 Green Faced Wicked Witch Badges. Halloween spooky witch, Broomstick. Fun party, black magic. 25mm pin button badge.